The rocks at this beach have a nice light color to them, and combined with the waves breaking over them, it was just the composition I was looking for. It took a little bit of a hike and some searching to find them, but it so rewarding when the hunt pays off. 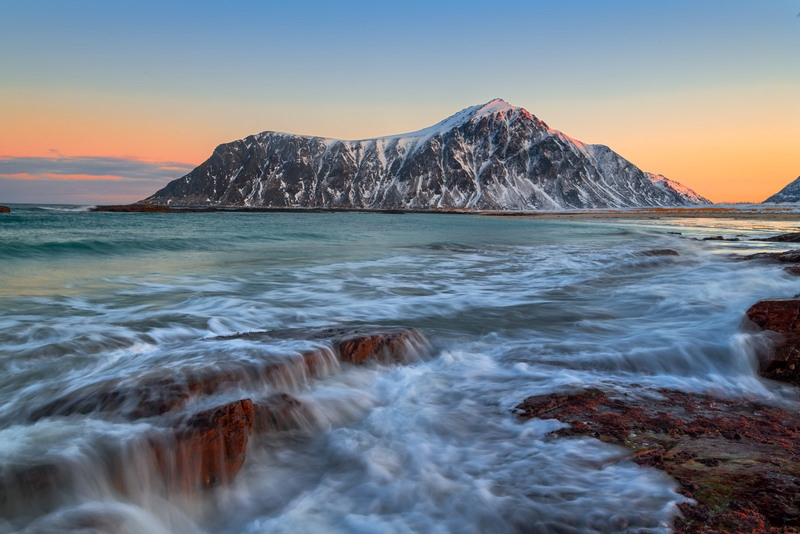 I look forward to returning to this beach on my next trip to the Lofoten Islands.